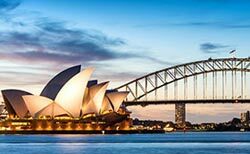 DGX is experienced with all of the ins and outs of shipping to Australia, after all that's what you would expect and that's what you will get. It’s one of the reasons DGX is a C-TPAT member – to facilitate your shipments entry from Australia into the USA. Whether located in Australia or the USA, these rules are important to both the importer and exporter, because one mistake can make a tremendous difference in whether you recover your property or whether the expense to get it back becomes so great you chalk it up to being a lost cause. So whether shipping to Australia from the USA, or shipping to USA from Australia, do yourself a favor and use an expert. That’s what an experienced, customer-service focused freight forwarders like DGX does so well!